Sunderland are bracing themselves for a fight to hang on to Gustavo Poyet, with the Uruguayan among the leading candidates to replace Mauricio Pochettino at Southampton. Tottenham Hotspur confirmed Pochettino as their new head coach on a five-year contract at White Hart Lane last night. His assistant Jesus Perez, first-team coach Miguel D’Agostino and goalkeeping coach Toni Jimenez have also followed him from the south coast to north London. Former Switzerland international Murat Yakin, who stood down as coach of FC Basel last week, was immediately installed by bookmakers as favourite to take the helm at St Mary’s. The likes of Malky Mackay, Michael Laudrup and even Rafa Benitez have also been linked with the job. But Poyet’s odds came in from 20/1 to 7/1 with some bookies yesterday evening. The 46-year-old is under contract at the Stadium of Light until the end of next season, and Ellis Short will resist any approach forthcoming from Southampton. He was mentioned in dispatches earlier this month, when West Ham United were thought to be considering Sam Allardyce’s future. And the impressive job he has done on Wearside has obviously brought his managerial capabilities to several potential suitors’ attention. 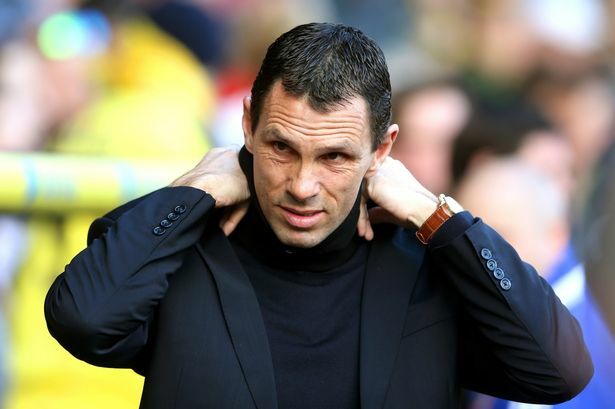 Having led Sunderland to the Capital One Cup Final and the quarter-finals of the FA Cup, Poyet then masterminded the Black Cats’ remarkable escape from relegation to the Championship. Before then, he enjoyed notable success over four years at Southampton’s south coast rivals Brighton and Hove Albion. Winning his first ever game as a fully-fledged manager (he was assistant to Dennis Wise at Swindon Town and Leeds United, and first-team coach under Juande Ramos at Spurs) against the Saints, Poyet steered the Seagulls to League One safety in 2010, and its title 12 months later. In May 2011 he was voted League One Manager of the Year by the League Managers’ Association and in March 2012 he won the Outstanding Managerial Achievement Award at the Football League Awards. Brighton lost to Crystal Palace in the 2013 Championship play-off semi-finals, and days later suspended Poyet over an alleged breach of discipline before terminating his employment last June. But by October, he replaced Paolo Di Canio as head coach on a two-year deal, and has impressed Sunderland supporters with an attractive, possession-based playing style on the pitch and a humble charm off it. In April, he made public his concerns about deep-rooted problems behind the scenes at the Stadium and Academy of Light, stressing there is “something wrong at the heart of the club”. He also revealed he planned stern talks during the close-season with club owner Short over the direction in which Sunderland are heading. And whilst understood to admire Southampton’s model as a club as well as their playing squad, interest in Poyet could strengthen his hand in any discussions with Short about Sunderland’s future. Meanwhile, the Black Cats have been credited with an interest in both Julian Speroni and Costel Pantilimon, who have been released by Palace and Manchester City respectively. 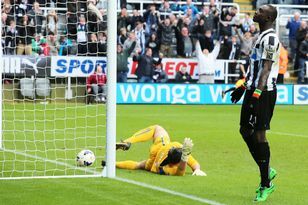 Poyet requires a replacement for Oscar Ustari – if he himself stays.